Home Islam Islamic Information What is the story of 1400-year-old Sahabi tree? Prophet Muhammad S.A.W died 1400 years ago. We do have some of the blessed things which were affiliated with Prophet Muhammad S.A.W such as his PBUH’s sword, house, and armor. None of the living thing associated with him (PBUH) has remained with us but this Sahabi Tree. Yes, there is one miraculous tree that dates back to the Prophet’s time period. 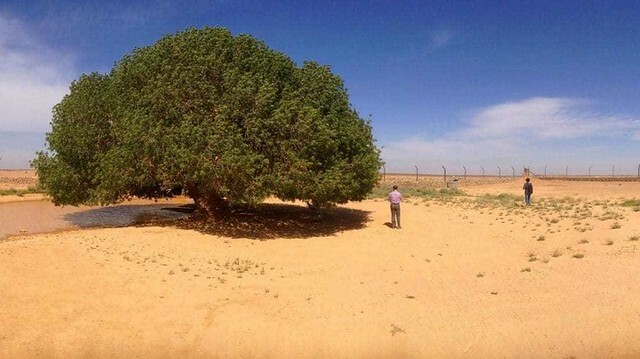 The Sahabi tree that rests in the northern desert of the Jordan is a healthy tree full of leaves and life. It is known as the Sahabi tree as it is the only friend of Prophet Muhammad S.A.W who is still alive. 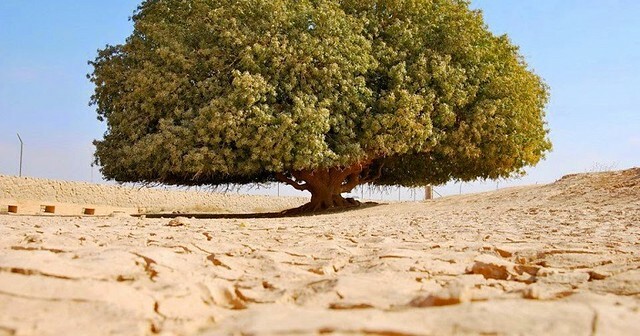 How is Sahabi Tree alive in the middle of a desert? The miraculous tree stands alone in the desert as there are no other trees or traces of life near it. Trees and life are found beyond the radius of hundred kilometers of the Sahabi tree! It is believed that the tree is left as evidence of Allah Almighty. It is Allah who has kept it alive for so many years for a reason: a reason that people may understand that Allah can do anything. Sahabi Tree is the one which gives proof of the Prophecy of Muhammad PBUH. It is a blessed tree that stands alone in the desert: giving science a challenge! It is believed that it is the tree underneath which Prophet Muhammad S.A.W took shelter. It is said that the Christian Monk, Bahira also met Prophet Muhammad S.A.W there. Prophet Muhammad S.A.W was a young boy of age 9 or 11 when he was traveling with his Uncle Abu Talib towards Syria for trade. Bahria had a feeling that he would know about the arrival of the last Prophet and that the tree would allow a Prophet to take its shelter. He would wait for people and look for signs yet could find no sign in anyone. When he saw the caravan coming, he invited them to rest. Prophet Muhammad S.A.W was asked to look after the camels while sitting under the very tree. Sahabi tree recognized Prophet Muhammad S.A.W and bent its branches to provide shelter from the heat. Bahira was the one who noticed it and saw that Prophet Muhammad S.A.W was always having a cloud of protection over him: a small cloud would always approach Prophet Muhammad S.A.W protecting him (PBUH) from heat. Bahira turned to Abu Talib and asked him to take good care of the orphan as he (PBUH) is a blessed one. He PBUH would bring blessing towards the people and mankind. How old is a Sahabi tree? We need some researches to know how old the tree exactly is. Even though scientist have claimed that this is the very tree that is notified by Monk Bahira, yet we need other facts to support that the tree was the one underneath Prophet Muhammad S.A.W took shelter. The Sahabi tree is now under the custody of the government who takes care of it. It is protected by a fence yet it is open towards the public. Anyone can enjoy the shelter of the lively tree.